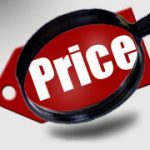 HomeBlogPrice vs. Value: Which Is Correct When Selling a Business? When a business is sold, it often sells for more (or less) than the appraised value. This may come as a surprise to most people, but valuators understand that there are many valid reasons that “price” and “value” may differ. Businesses that understand this subtlety are better positioned to make informed decisions when buying or selling a business. Price is specific to an individual buyer and seller. It’s the amount of cash (or its equivalent) for which anything is bought, sold or offered for sale. It requires an offer to sell, an acceptance of that offer and an exchange of money (or other property). Some strategic or financial buyers may be willing to pay more than others because they can benefit from economies of scale or synergies that aren’t available to all potential buyers. Fair market value is essentially a consensus of what the universe of potential buyers would agree to pay for a business, a business interest or an asset. In the real world, sales may occur for more (or less) than fair market value, because the individual parties have their own perceptions of the investment’s risk and return, are under duress to buy (or sell), or lack relevant knowledge about the transaction or the subject company. Another reason that value and price frequently differ is timing. In many cases, a valuator’s work is done months or years before the company is sold. Differences in market conditions or the company’s financial performance between the two dates could cause the company’s selling price to vary from its appraised value. To determine fair market value, a valuator would consider potential transactions to purchase the practice by all three of these groups, under the cost, market and income approaches. But in the real world, only one specific buyer would make an offer. So, for example, the analyses involving a physician or physician group wouldn’t be relevant if a hospital is buying the practice. It’s critical for buyers and sellers to understand that the appraised value of a business interest may not reflect its future selling price. Value can vary substantially, depending on the effective date and the purpose(s) specified in the appraiser’s report. When the purpose of a valuation is to establish an asking (or offer) price, valuators typically provide a range of values that considers various buyers and transaction scenarios. This range can help a buyer and seller arrive at a reasonable selling price that’s based on the individual parties’ expectations of risk and return. If you’re planning to buy or sell a business interest, contact a business valuation professional for guidance.